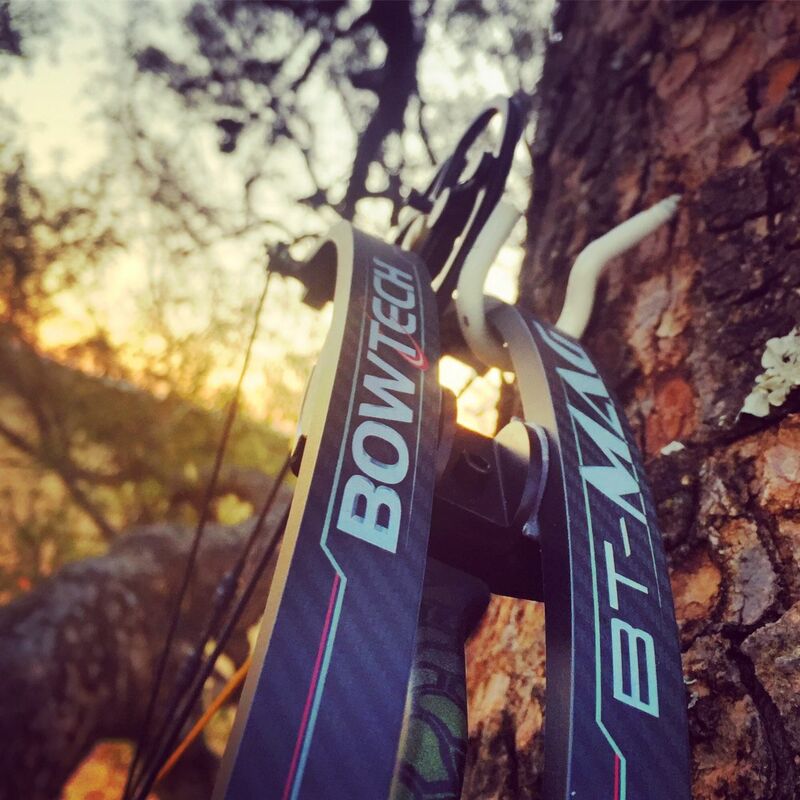 Bowtech is always refining their bows and the technology going into the bows. Just so with the new BT-Mag. 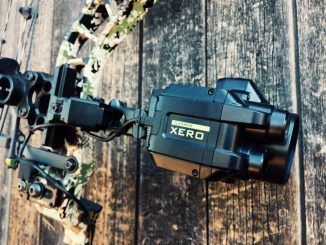 Essentially They have taken the good stuff from a Bowtech Boss and a Bowtech BTX and created a very nice, longer axle-to-axle, 3D/Field/Hunting bow. I recently took the time to set one up for myself (thank you Archer’s Edge for sorting me out!) and started putting it through its paces. As I mentioned, the bow will remind you of a Boss. However, the new cams are a bit smaller and less aggressive. You still have the three options for the draw curve (Comfort, Performance and Classic) and the IBO rating of 340fps is solid. It also has the MicroSync dial (like the BTX) to adjust timing on the fly. I am not sure of the value of this, as most people I know won’t even realise their timing is 2 or 3mm out. However… it’s a nice feature if it does happen for some reason, and no bow press is available to sort it quick. I wanted to know what it can do as a 3D/Field bow, but was planning on hunting with it. 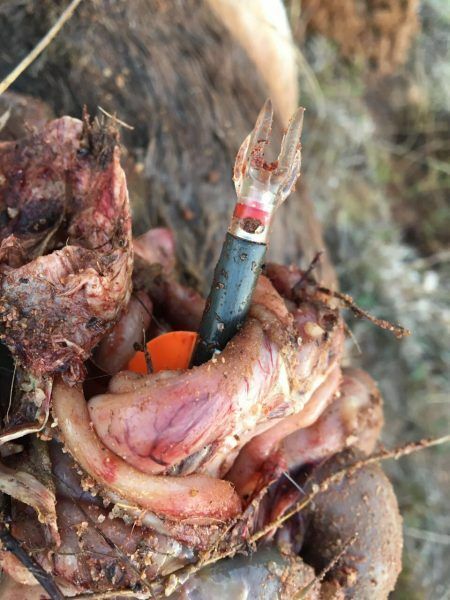 Last year I never really got closer than about 70yds to Blessbuck and wanted I bow I am 100% comfortable with at longer distances, and that I can consistently shoot a solid grouping with. 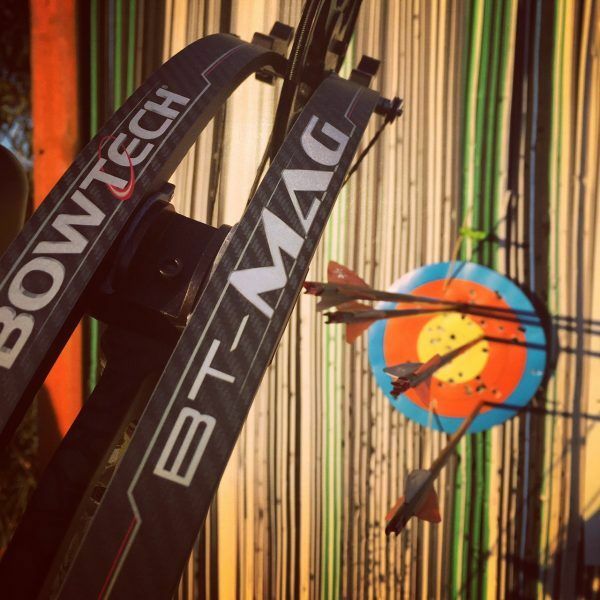 The BT-Mag is very similar in size and weight to my competition bow (a Bowtech Fanatic2.0) so I ended up going that direction. 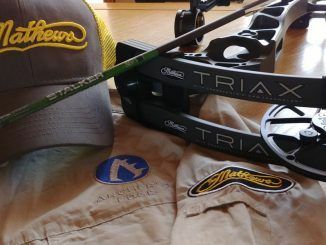 In the end, my setup was 70lbs, 30″ draw length on the comfort setting, giving me around 81ft/lbs of Kinetic Energy on a 485gr GoldTip Kinetic arrow. More than enough for pretty much anything I can afford to hunt, but still smooth on the draw. My arrow speed was 275fps. the BT-Mag is a long axle-to-axle bow, so quite stable in the hand, but I decided to add just a short BeeStinger stab to the front as well. 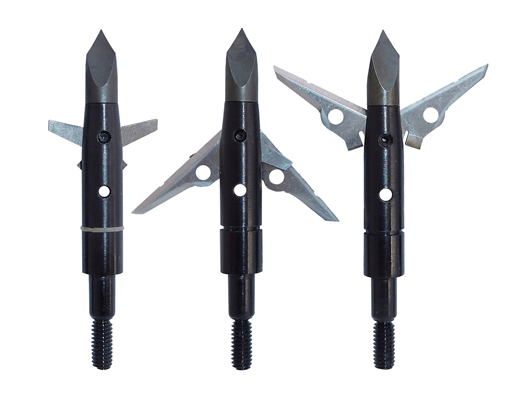 Finishing off with a standard octane 5-arrow quiver. 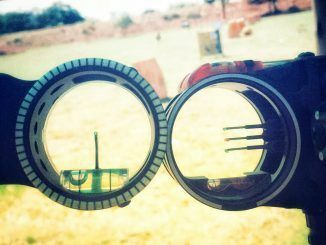 Sight and rest was my trusty CodeRed from Ripcord, and the SureLoc SLDR Lethal Weapon over/under sight. The comfort setting is definitely where I would keep it if I was shooting any known distance competition, and seeing that it still performs very swiftly at that setting, I kept it for my treestand adventure to come. I wanted a smooth and quiet draw, something that wouldn’t let me make sudden, snap movements. As I mentioned, from last year’s stalking, I knew that I would likely not get closer than about 70yds to the blessbuck. Now, I believe you always practice longer than what you are planning to hunt at… if your animal ends up closer, it’s a confidence builder. I did a lot of practice shots on 80yds at my home range (Archer’s Edge) and then decided to see how far I can push it. 90yds went without problems, 100yds was pretty decent. At 110yds I was thoroughly impressed, and at 120yds it was just getting rediculous! Now… I can’t realistically see myself shooting at 80yds, nevermind 120yds! 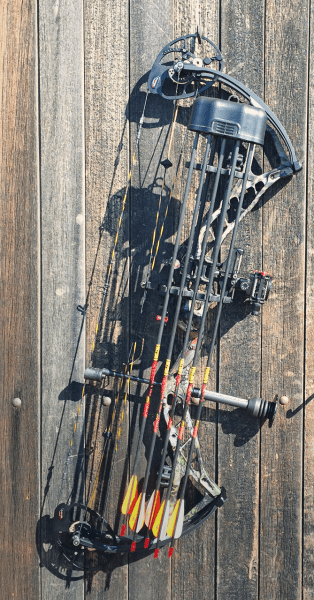 there is just too much that can happen in the time between releasing the arrow and the actual hit… but what it did tell me is that this bow will feature as a competition bow and no mistake! 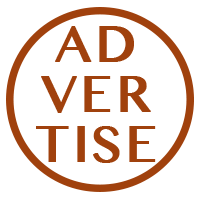 When the wind was constant, At 110yds, I could put 4 out of 5 arrows on a target the size we shoot for indoor competitions (sideplate size, about…) so the bow is a shooter! So I took it hunting. 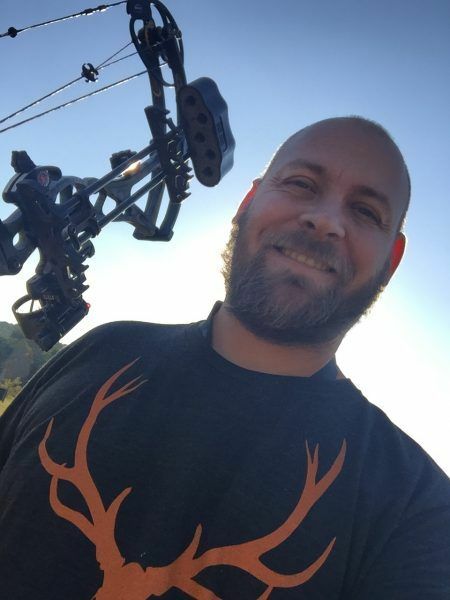 With my setup, it is a heavy bow to stalk with, and the extra size doesn’t help going through brush and low hanging trees and thorn bushes, but everywhere else, it was stellar! I did get a shot on a Blessbuck ewe, and took her down on 64yds. 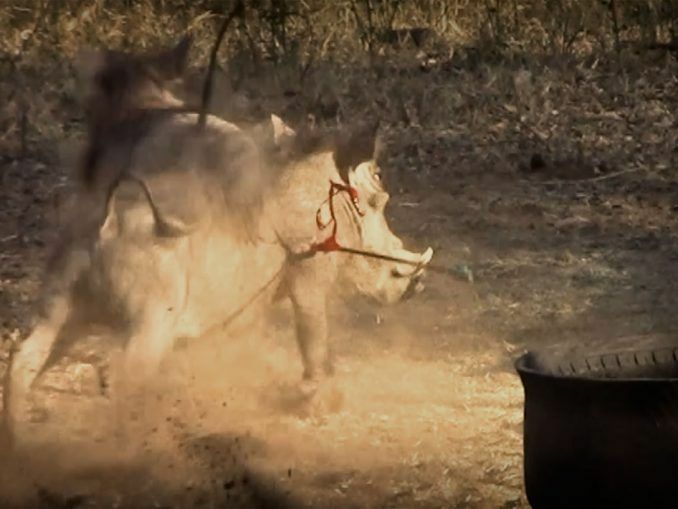 Arrow flight was good, heavy quartering away, so small target, but I was extremely confident in the shot. 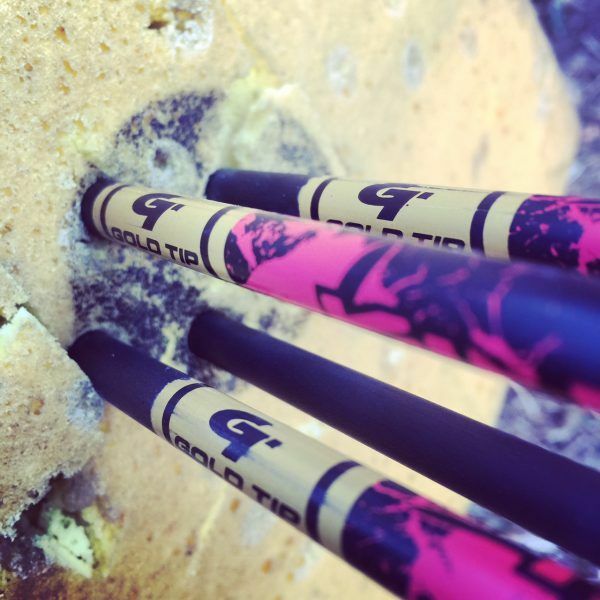 The bow performed flawlessly and I have meat in the freezer… In my book, that is a success! 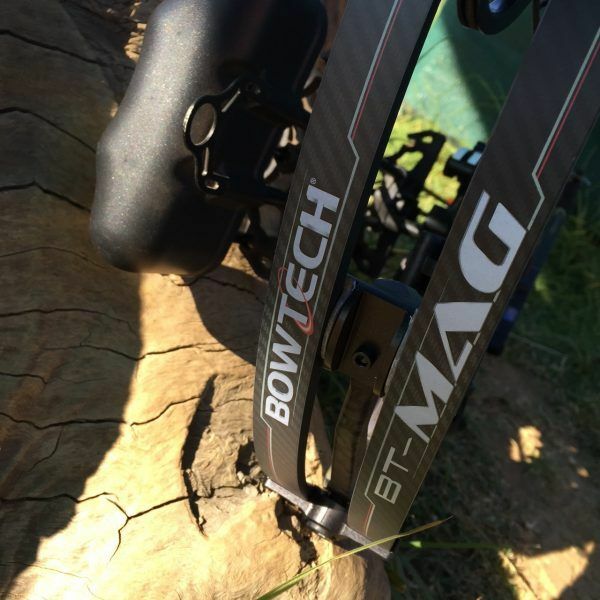 So if you are looking for an all purpose bow for competition and hunting, and your format requires a few longer shots and/or more speed than a typical target bow will give you, have a serious look at the Bowtech BT-Mag. 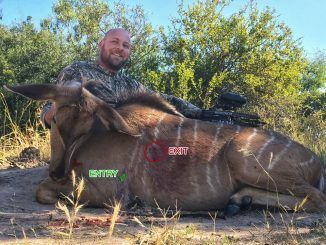 Thank you to Archer’s Edge for providing the Bowtech BT-Mag to review and Nhlanguleni Private Game Farm for the opportunity to test the bow on longer range hunter shots.